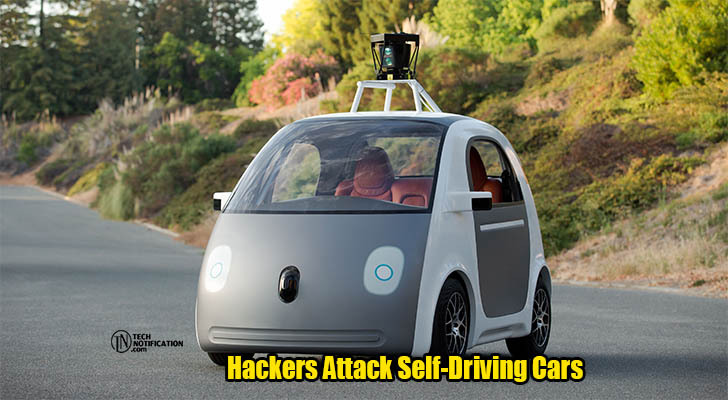 After attacks on computers in modern cars, hackers are now making a grab for self-driving vehicles. Autonomous cars can be rendered useless with relatively little effort. A researcher simulated various objects such as vehicles in front or curbs, which force the car to react. Jonathan Petit, scientific director of Security Innovation, explains that only a laser pointer and a Raspberry Pi were needed to manipulate the lidar (light detection and ranging) sensors of the self-driving car, which is used to determine distance and speed. As soon as the laser impulse was synchronized with the sensors, vehicles or other objects could be imitated. Also read: How Social Networking sites can be hacked? It was even possible for Jonathan Petit to create an illusion of movements and distances of up to 350 meters of the car. “I can record the reflections of a simulated car and move them anywhere,” reveals the researcher. The hack can also do a lot of harm to the sensor as the vehicle can be hacked to the point that it no longer detects real obstacles. Since self-driving cars compare and analyze their information gathered from the radar, video camera, ultrasonics and laser, it is still unclear whether deceiving the lidar sensors alone is enough to confuse the vehicle. The lidar sensor impulses must be un-coded and unencrypted, which makes them an easy target for attack.